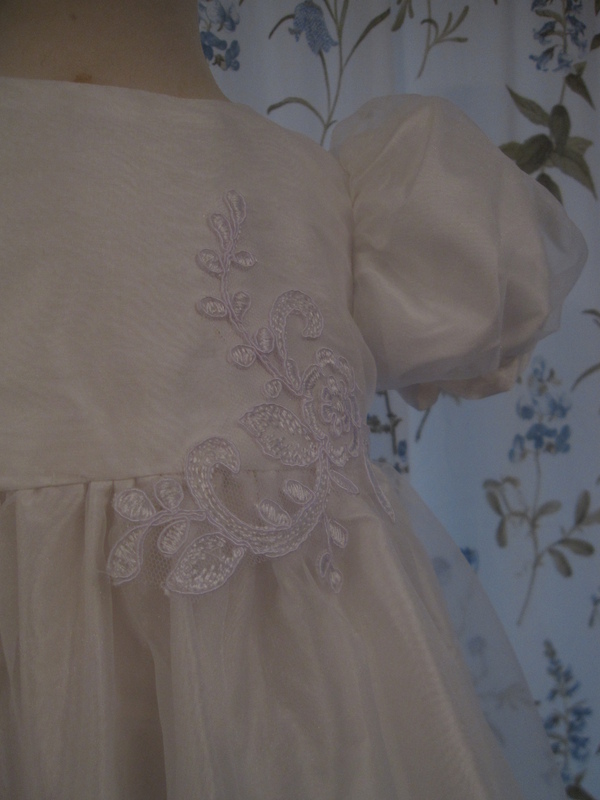 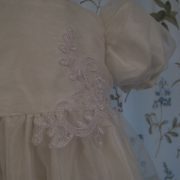 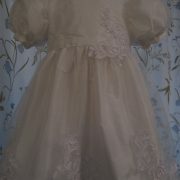 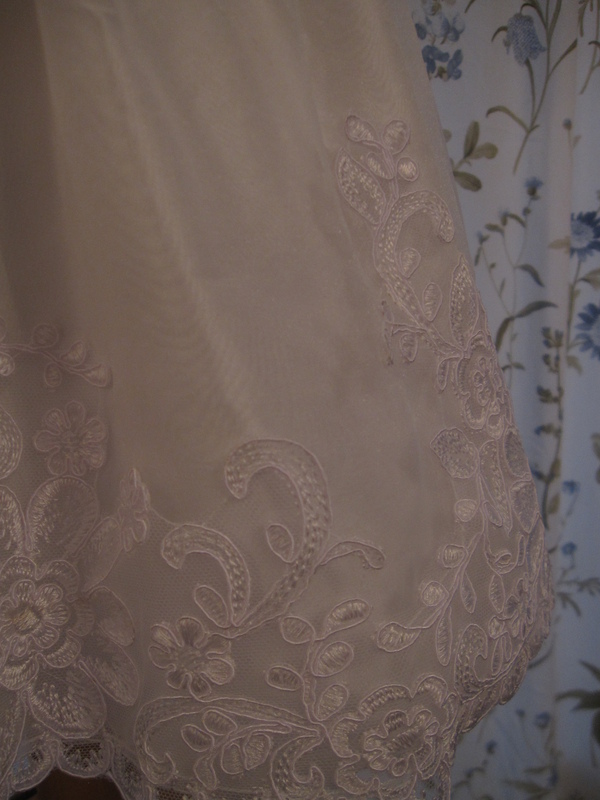 This couture silk christening dress is made from the finest of fabrics. 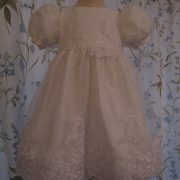 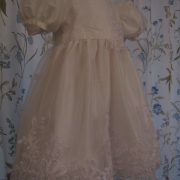 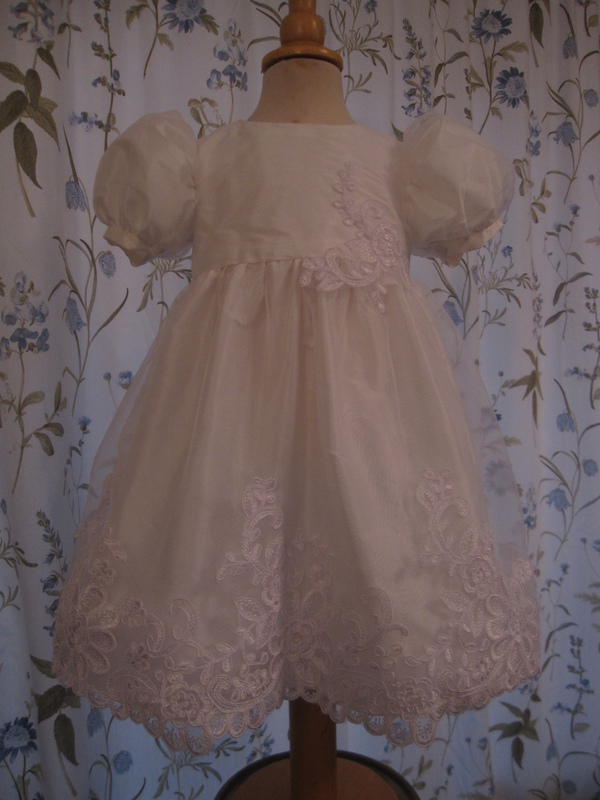 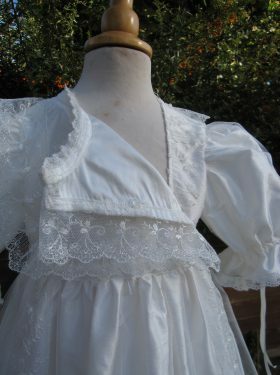 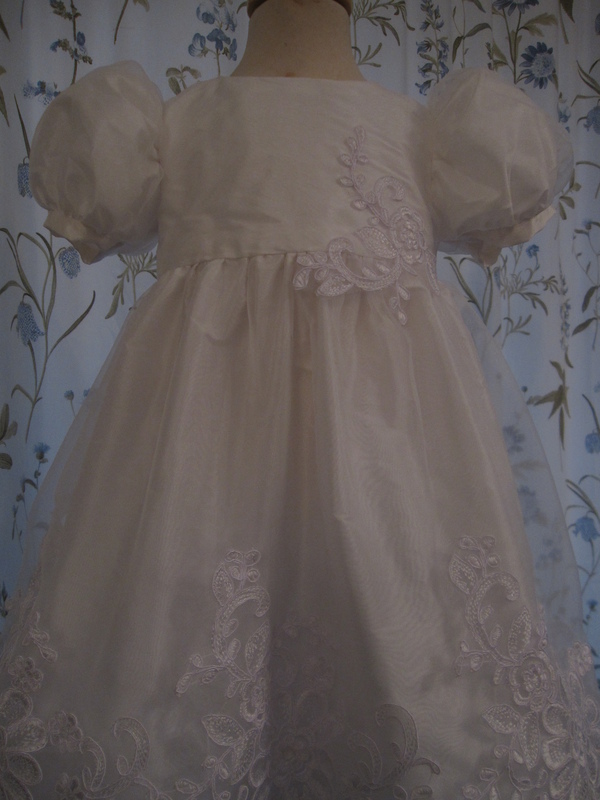 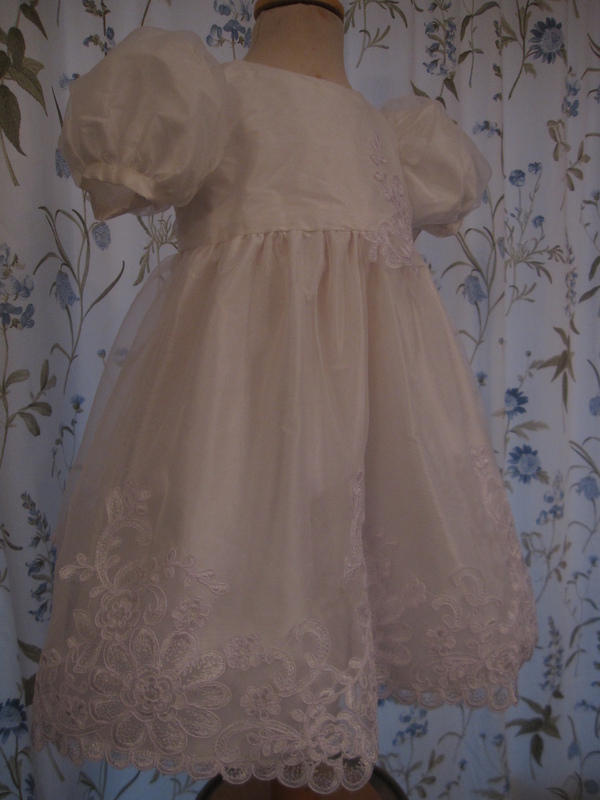 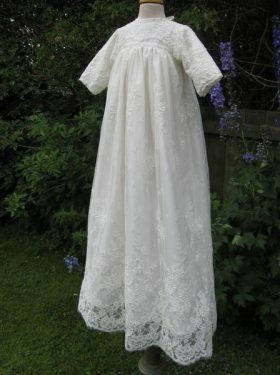 The Verity Christening Dress is sure to delight. 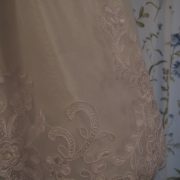 The undergown is created from 100% pure silk dupion and the overgown is a combination of silk tulle netting and lace applique. 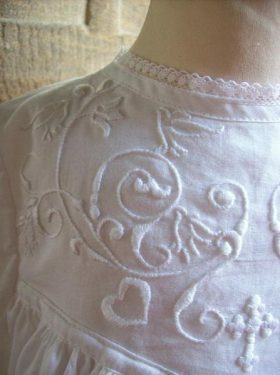 The overall effect is stunning and full of class. 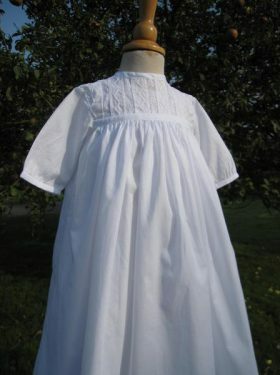 This little outfit is perfect for older babies who are being baptised, especially if they are crawling and therefore it would be impractical to wear a full length robe.